AKA: Cooking (or NON-Cooking) in the Classroom! Information AND 18 Fun Recipe Ideas! 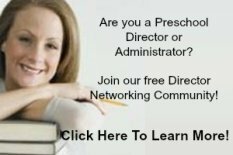 As preschool teachers, we have little control over providing healthy snacks for preschoolers unless our programs provide the meals. However, you can still create healthy snacks WITH your preschoolers to provide at snack or lunch as part of your daily activities in your interest learning centers! Cooking in the preschool classroom is something we all should do--and you do NOT need an oven or microwave to incorporate cooking into your program. Why Cook In The Classroom? Learning about nutrition by helping to prepare healthy snacks. Developing their socio-emotional skills while they work together adding ingredients and take turns mixing ingredients. Improving their self help skills by preparing and serving their own meals and snacks. Developing a better understanding about nutrition and food choices. Developing fine motor control and coordination through mixing, pouring and scooping. Developing eye-hand coordination while pouring, cracking eggs, and measuring ingredients. Developing math process skills such as measuring, counting, comparing and sorting ingredients. Developing their self esteem by being a part of making their own snacks. Developing a sense of pride in their culture by incorporating family recipes. Do you have a Cooking Center in your classroom? This is the perfect place to plan a weekly or monthly food preparation activity that focuses on healthy snacks! Click here to learn more about how to set up your Cooking Center. 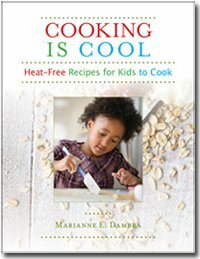 We did not have a Cooking Center in our classroom, however, are so many healthy snack ideas for preschoolers that you can make with them that do not require a source of heat! 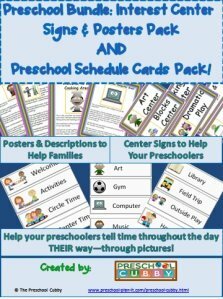 If you do have an oven you will have the ability to add even more recipes to your preschool lesson plans throughout the year! However, it is not necessary. We had a kitchen available in our program but barely used it! And, we cooked often with our preschoolers! 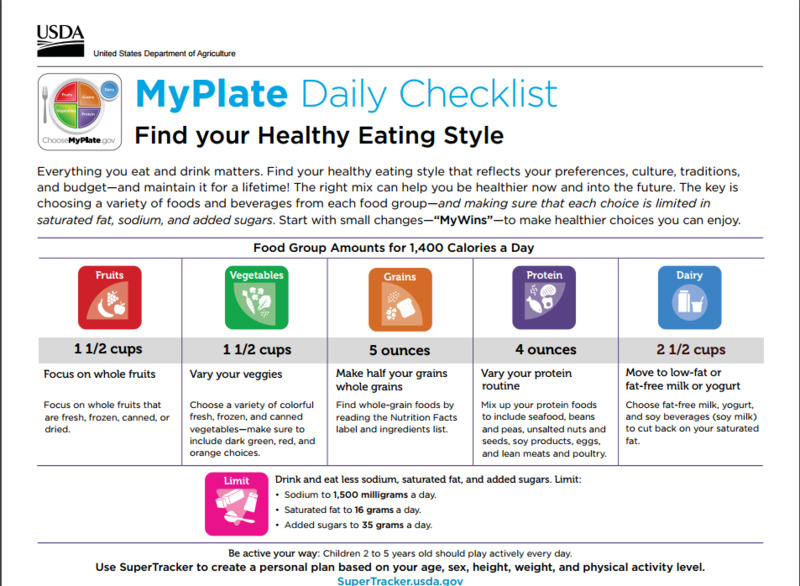 Create lesson plans with healthy snacks and meal preparation ideas in mind. 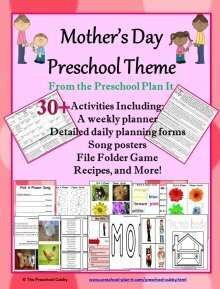 There are several ways to come up with ideas to incoporate into your preschool lesson plans with regard to cooking. 1. Observe the types of foods your children like or talk about. One makes a face at it. Another child asks what it is. Another child says they want to eat it because it's purple. Another child says they LOVE eggplant because they eat it at home. This discussion just begs for you to bring an eggplant into school and check it out! Let them observe it, touch it, peel it, cut it open, taste test it! Do this with any food item that comes up in conversation! 2. Observe the types of foods they bring in for snack or lunch. Are there foods that some children bring in to school for snack that peek the curiosity of others? We had a little boy bring in a Star Fruit once and NONE of the other children had ever seen one before. The little boy described how it tasted and told his friends how yummy it was. We then talked about the types of fruits the children like or don't like. We then brought in a selection of fruit and had a taste testing day. 3. Relate healthy snacks to your week or month's preschool themes. Think about some foods or snacks that might relate to your theme. For example, bring in Star Fruit when using a Space Theme. For a Rain Forest Theme you might plan to make "Snake Skins" or "Monkey Bars" with the children! 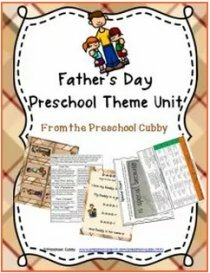 On my Preschool Themes page, you'll find at least one cooking/snack activity idea to go along with each theme! You might also incorporate a healthy snacks discussion during a small group discussion or other times throughout your day. Let's look at some fun and easy healthy snacks to make with your preschoolers in the classroom! The children help you to wash the celery and help to cut off the ends. Have them help you to stir cream cheese so that it is soft and spreadable. They spread their own cream cheese onto the piece of celery and then add raisins (have them count out and place the raisins on the cream cheese). Have the children help you cut apples in half, and then into quarters. Have them help you PEEL apples! We brought in a Peeler, Slicer, Corer and the children LOVED using it! They could then cut the apple in half using a plastic knife. Have the children scoop their own yogurt from the container onto their plate. * I know this is traditionally made with peanut butter. Due to the high number of peanut allergies, I no longer use it in the classroom. Also, if you have any children with tree-nut allergies in your group, avoid coconut and almonds. Click here to go to my Allergies page to learn more about food allergies and grab my free downloadable posters for your classroom as well. Have the children help you peel, core and cut apples into small pieces. If you have a stove or microwave, cook it until it is the correct texture. If you don't have a stove or microwave, sprinkle some lemon juice on the apples (to keep them from oxidizing--aka turning brown) and place in a covered container in the refrigerator. Take them home to cook and bring back the next day to eat. I have set this up as an assembly line type operation! Provide bagels and pizza sauce in their own bowls. Provide a block of cheese and a cheese grater on a bowl. Provide pepperoni, whole (pitted--meaning the pits are removed) black olives and other toppings. 1. Choose a bagel (using a pair of tongs, not their hands). 2. Spread sauce on it with a small ladle or spoon. 3. Slice some pepperoni (yes, again, they CAN do this with your assistance!). 4. Slice up an olive or other toppings. 5. Grate some cheese (yes, they CAN do this and yes you MUST supervise this). Place them all on a cookie tray (be sure to have a graph so you remember which bagel belongs to which child). Bake until cheese is melted! YES! Cookies! There ARE super healthy cookie recipes! Click here for 10 awesome healthy cookie recipes you can make with children! Have the children help you to wash, cut and mix fruit in a large bowl. At snack time, give them a spoon to serve themselves! I could go on and on about smoothies! You really can NOT mess this up! Just bring in any ingredients you want to add and have the children help place them into a blender! 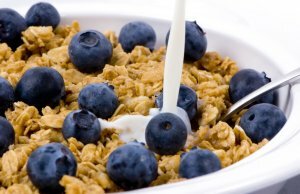 For liquids, try milk, yogurt or fruit juice. For add ins, consider different types of fruits, vegetables and, of course, ice cream! Again, Super Healthy Kids is a great "go-to" place for all types of healthy snacks recipes and Smoothies is one of them! Eggs: How about letting the children color/dye the eggs first! Let them dry overnight in the refrigerator and have the eggs & toast the next day. Provide cups of milk that has a drop of food coloring in them. Provide small (never before used) paint brushes. 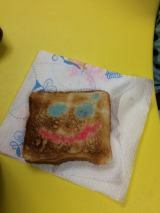 The children paint designs on their bread. Toast the bread--the colors will still show! Butter: Make your own butter! Place heavy whipping cream in a small, glass jar (we use baby food jars). Have the children shake the jar.....It takes about 5 minutes of shaking....the cream will solidify into butter. The shaking separates the liquid. Open the jar and pour out the excess liquid. Add a pinch of salt and stir. Yum, their own butter! The children help you to peel and mash the bananas and spread it on the crackers themselves. You can provide canned peaches (packed in water, not syrup), drained and placed in a bowl. Let the children slice these themselves. They then scoop some yogurt onto or next to the peaches on their plate. Have children help you to measure popcorn kernels into an air popper (popcorn popper). While you're at it, why not make ALL of these versions and have a taste test! Record the results on a graph! Super easy, right? Have the children help peel oranges! Great fine motor skill! Then have them break their oranges in half (learning fractions!). Most string cheese packages are difficult to open. I suggest just opening the end, but let the children peel the paper off! 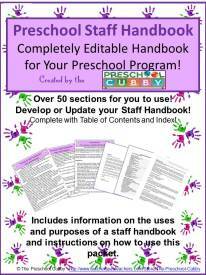 This is another GREAT resource for cooking with your preschoolers! Place different ingredients (Cheerios™, dried fruit, raisins, mini-chocolate chips, pretzels, etc.) in its own bowl. Provide spoons in front of each ingredient. The children place 1-2 scoops of each into their own bowl or ziplock baggie. Optional: Create picture cards of a spoon and print a number on each one to represent how many spoonfuls of each ingredient the child should start with. This supports number recognition, 1-1 correspondence and rational counting, eye hand coordination and muscle control! The children help to wash and cut the vegetables (celery, peppers, cucumbers, carrots). If you have a favorite hummus recipe, have them help you make hummus! The children use a spoon or measuring cup to measure the amount of each ingredient into their bowl. The children spread the yogurt on the banana (or roll it in a bowl of yogurt, more messy but fun!). They then roll the covered banana into rice crispy type cereal. 1. Spray pan with cooking spray. Preheat oven to 350 degrees F.
2. Stir together flour, oats, sugar, baking soda, cinnamon, baking powder and raisins in a large bowl. 3. Add banana, milk, egg whites and vanilla. 5. Spread into pan bake for 30-40 minutes. Serve warm or cool, cut into squares. (For more Rain Forest Snack Ideas and other lesson plan activities, check out my Rain Forest Theme Page! I have to say, this list has made me hungry! I need some snacks now! 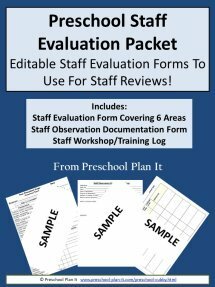 I hope this has helped prompt some ways to incorporate healthy snacks for preschoolers into your regular preschool lesson plans! Based on the information on this page, you can see the amazing amount of learning that happens every time you prepare a snack or food item with the children, so cook often!!!! How often? Well, that's up to you! Many teachers plan cooking once a month. I recommend it once a week!